Growing up we had a single peach tree in our backyard, which yielded a bumper crop of peaches each summer. The season was fast and furious … a couple of magical weeks of gluttonous consumption. And then, as suddenly as the lavish bounty had appeared, our lone peach tree would retire until the next summer. This peach smash is our take on a summertime gin and tonic to help quench your thirst on the blistering hot days of summer! Quarter the peach and remove pit. Cut a couple of thin slices of peach to reserve for garnish. In a cocktail shaker, muddle the peach quarters, mint sprigs and simple syrup. Add ice, gin and lemon juice and shake for 30 seconds, until chilled. Taste for sweetness, and add a touch more simple syrup if needed. Pour into 2 double old-fashioned glasses or tumblers filled with ice. 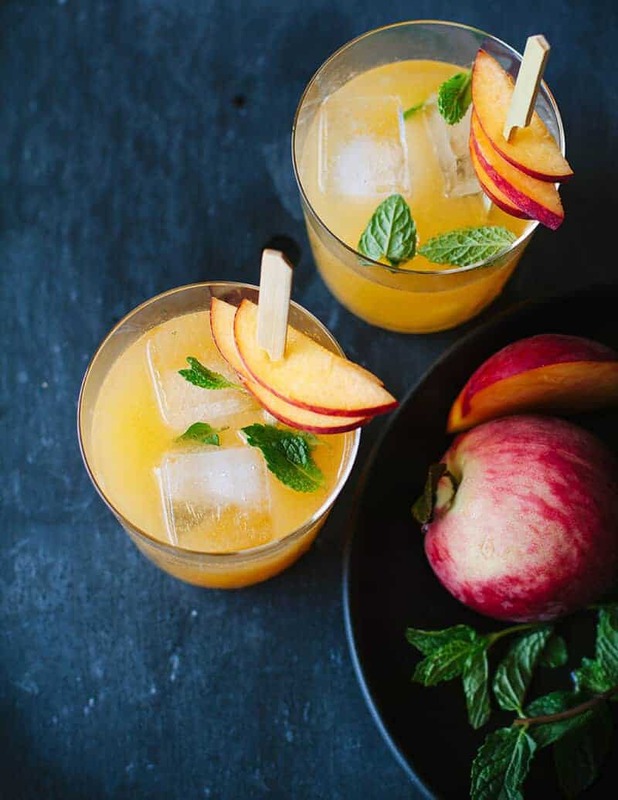 Top with soda water and garnish with reserved mint and peach. Shopping: Look for peaches that are just firm, rich in color and unblemished. Firmer peaches should be stored on the counter, not in the refrigerator, which can make them mealy. 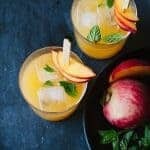 Drinking: Ripe peaches, on the other hand, can be refrigerated for a day or two or, better yet, muddled immediately into a summer cocktail!